I don't enjoy K-Drives, and the fact they're tied to Mastery progress is just... not the best design decision. That's why I use Archwing to move over the open maps instead. There's nothing else to it, really. Nerfing Itzal comes along to add up to these bad design decisions. They could literally improve K-Drives and other means of transportation... but choose to do a nerf of something instead. I'm not a fan of such attitude, in the slightest. More options don't hurt anyone - I am all for more options for the characters/Operators. (Unfortunately, from practical standpoint, it involves more work, which is why we don't have it yet). To me, I'd prefer if faces were removed from specific bodies - ie. I like one face, but it's attached to male body automatically & I'd like to use it with a character that's intended to be a female - quite honestly, some combinations of 'male' faces look better than what we have for female faces. Also, as long as said 'male' hair continue to be useable regardless of gender, I'm good. I've wanted short hair option that doesn't look emo for quite a while, long hair just don't cut it for me. Was happy to see the new hairdo they showed on Friday devstream for this reason. DE, take my plat and give me these awesome tomboyish spikes, o-em-gee. I use this build for non-event & casual endless runs, focus is on Warcry and Power STR, for obvious reasons - This build will take you through any mission of regular Warframe content, (can do casually around 40 waves of defence & 1 hour long survivals - any that you can find on the Star Chart solo). Who's Your Umbral Forma Frame? My only true Warframe love - Valkyr Prime. I never play anything else anyways! My only true Warframe love, that is Valkyr Prime. Can't wait. I'd very much like this too. Having my Valkyr Prime to run around freely, after applying the Umbral polarity. 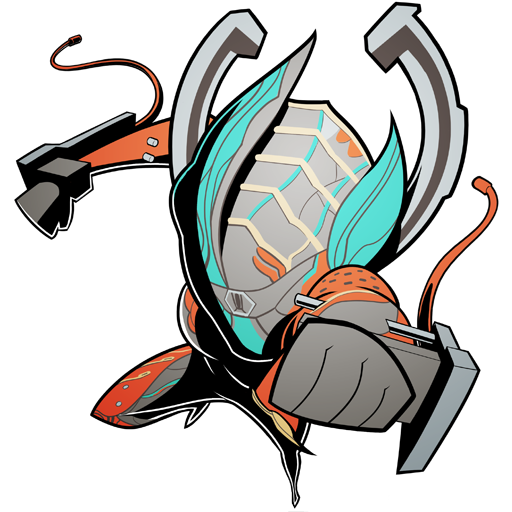 Also - Given how much stuff they have planned, it's unrealistic to expect a new Umbra 'frame anytime soon, so it'd be shame if only one Warframe had this little 'passive'; and this would let people to get their favorite Warframe exactly that - I hope they'll give us more Umbral mods instead, that will be useful on other 'frames too, so that umbral polarity is not just for like 3 Warframe mods. Being a Valkyr main with over 3k hours in mission time with her (yes, she's basically the only 'frame I play, bite me, haha) - Whatever they do, if ever, with Valkyr, they better not touch Warcry. It's bread and butter of fun for Valkyr, when combined with Eternal War augument and perhaps that one ability, that work fantastic for her. I would perhaps like if the slow-down of enemies was functional on sight, rather than on cast, so she'd have some CC capability that could be benefical for the teamplay, but otherwise, Warcry is in a fine spot for her. I personally am not a fan of Hysteria; its' invulnerability part is the reason it got the treatment of increased Energy drain over time, plus the casting speed is just terrible, in an event you only use Hysteria for self-heals <--- My case until I got better ways of self-heals, that aren't Life Strike or other gimmick. Sadly, I have no answer to this ability, as to what'd make it more appealing to me. A side note, it sometimes glitches to the point that I am unable to attack, or cast any ability when using it in the quick sequence of turn on and then off. I would love to see some synergy for her abilities perhaps, that complement and support melee-gameplay even further. Paralysis is not all that useful in its' current state either and Ripline.. I only use to joke around & ripline my best friend to Extraction. I'm mainly looking to see how the toggle the ability to remain in melee and attack being still to LMB will work. Can you demo that? I have been melee only; for the last three years, since I joined the game. The melee system is fun, gunplay... not so much - for me. I've not logged on Warframe last 5 days, after logging on daily, loving the game for these last three years - that's what the potential loss of being able to play style I enjoy did to me, pretty much. Don't get me wrong, I'm not throwing fits, I'm not angry - it's just a huge feeling of letdown, sadness and lack of motivation to play, if the one thing I really loved, style-wise, is potentially going away soon. I keep saying - this change is good, if you like mixing your gunplay with melee, and if it works and offers people to do exactly that, without removing choices from other players - excellent - but if it comes at the cost of other options being impossible or hampered by clumsy controls - that's a step back, not forward. You don't just remove options from players, and hope they will like it, regardless of their previous preferred style. I haven't joined to play a bog-standard shooter with a bit of melee on side. I joined to play awesome fast paced hack & slash with my melee, to be a space ninja (seriously, ninja with guns..?) with some Space Magic. Reasonably speaking, once the changes are up, I will give them a honest try, and see how much it impacts the capability to play melee only, and will provide a constructive feedback - as DE had done a lot of good work, and to not even try it would feel wrong, petty and unfair to them. They are passionate people, who seem to mostly want to provide a good player-experience; but at the same token - I am a passionate person too, and removal of my favorite style is something I don't want to see - as then, even if I love these folks and this game to pieces, my real means of enjoying the gameplay will be practically gone. What would be left for me there to do? Idle in my Liset and take pics in Captura? While that's amusing, it doesn't substitute the gameplay, unfortunately. PS: I am the one who tweeted at Steve (Jan The SA******, lol) - the rare instance of me tweeting at devs - as I normally really dislike doing that, knowing they have enough workload to have some random internet person to bug them. Me doing that goes against my own personal sensibilities - as I really want to enjoy Warframe in the future, so bringing up constructive discussion to make it possible is taking priority over that little sensibility of mine. Captured by Zanuka with only 1 Warframe. Results! This thread made me laugh more than it should have. Kudos to your madness, OP. I laughed. On topic - I hope your skin makes it to the game, HitsuSan. Having too much time, a lot of time... nevermind, my Valkyr could use a new shiny look after almost 3 years of playing her almost exclusively, haha. There's more I'd actually love to see in the game, these are just some of the main things. Pretty much sums up what I kept saying as well somewhere in this very own thread - I have the very same fears too. I just hope, that we are very wrong about this & it's just our fears speaking. And the only thing that can dissipate assumptions and fears, is devs coming and actually providing facts. It'd prevent a lot of panic-posting from knowledgeable and often passionate melee-users. Because yes, people who melee majority of their time in Warframe can make extrapolation based on what has been said already: And not only it seems less fun, but also less effective. Therefore, for people like me, it's hard to see any improvement, aside of melee looking pretty. But looking pretty does not equal better or more fun. I rarely ever post anything to the questions for the Devstreams, but - To me, current scaleable melee system, that's truly unique to Warframe is essential for my enjoyment in Warframe (pure melee player with over 3k hours of in-mission time), and the lack of substential informations about the rework is not helping; as so far, based on informations you've provided so far, it's going to shift completelly from what we have (and I personally love) about Warframe and its' melee system. So, without further addo - Do you have anything to share?